We've got both genders covered here. 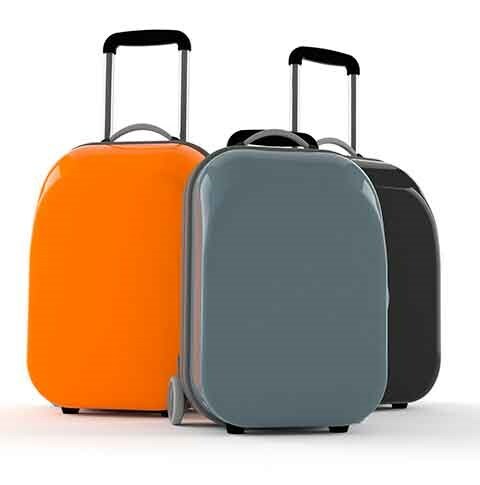 Packing the perfect carry-on can be a challenge (or a nightmare) for even the savviest traveler. What do you include? What do you leave out? How do you maximize space? And it's different for men and women, of course. Don't worry, though: Virtuoso Life has you covered. Cuyana leather tote, $150, cuyana.com. Frends Taylor headphones, $250, nordstrom.com. 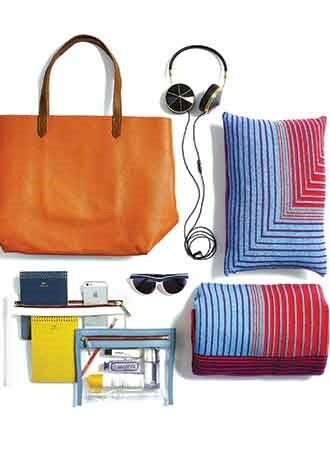 Tabula Rasa Isoline cashmere pillow and blanket travel set (with black cotton carrying case), $490, tabularasa-ny.com. Morgenthal Frederics Kitt buffalo horn sunglasses, $1,995, morgenthalfrederics.com. Jurlique Rose hand cream, $25, www.jurlique.com; La Prairie Cellular Eye Essence Platinum Rare, $365, laprairie.com; Obagi Professional-C Sun Care SPF 30, $70, lovelyskin.com; Marvis Jasmin Mint toothpaste, $6, birchbox.com. Truffle Clarity Clutches, $42 to $46, onetruffle.com. Postalco notebooks, $12 to $19, kaufmann-mercantile.com. Filson Sportsman’s bag, $325, filson.com. Izola 25-ounce stainless steel Explore water bottle, $42, izola.com. Archival waxed canvas dopp kit, $60, archivalclothing.com. J.Crew striped socks, $15, jcrew.com. This Is Ground Traveler Mod leather organizer and iPad case, $250, thisisground.com. Shure SE315 earphones with detachable cables, $199, shure.com. 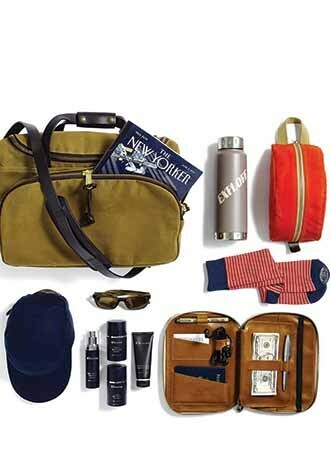 TemperlEy for Elemis Safari for Men collection, $90, timetospa.com. Oliver Peoples Wyler sunglasses, $325, oliverpeoples.com. Archival waxed canvas trail cap, $46, archivalclothing.com. If you'd be interested in working with a Virtuoso travel advisor (and getting top-flight knowledge on topics such as tipping), click below to connect.